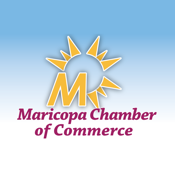 The Maricopa Chamber of Commerce (MCOC) is the ultimate business resource in Pinal County. The MCOC is one of the fastest growing Chambers in the United States. Of it’s over 307 members, 95 percent are small businesses with 15 or fewer employees. The Mission of the Maricopa Chamber of Commerce is to support our members by promoting commerce in the greater City of Maricopa area through business advocacy and leadership in economic, political and educational development. Core Values: Provide Member Value, Financial Responsibility, Leadership, Business Advocacy, Local Business Development & Promotion, Community Quality of Life, Ethics.